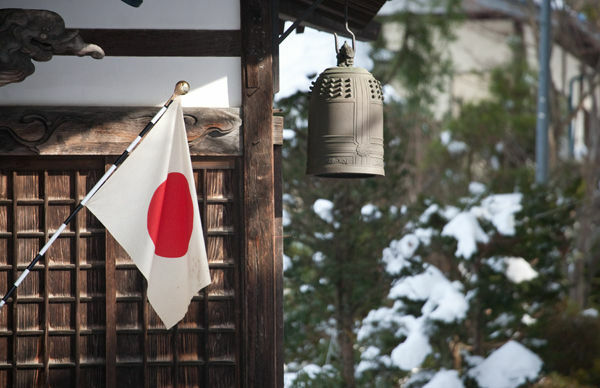 The national flag of Japan proudly aloft on a home. The Japanese have a sense of nationalism and pride. A traditional bell hangs beside this also.